SOFTLINE WILL LAUNCH A NEW UPHOLSTERY SERIES CALLED BASKET DURING THE SALONE DEL MOBILE. BASKET IS A SEATING FAMILY INSPIRED BY THE INTIMATE COSY FEELING WHEN SITTING IN A BEACH BASKET AT THE SEA. THE HIGH BACK OF THE SEAT EMBRACES THE USER AND GIVES THE FEELING OF PROTECTION- TO HAVE A SHELTER TO REST IN. 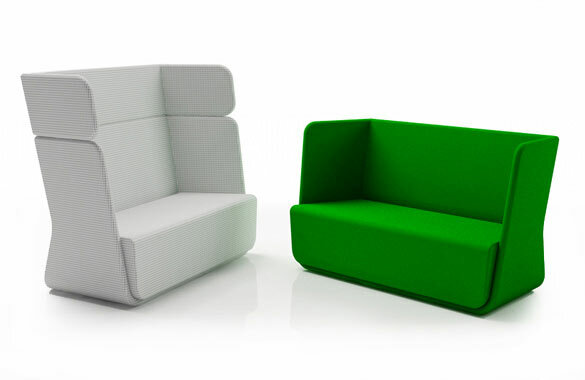 THE MODULAR SYSTEM ALLOWS TWO DIFFERENT HEIGHTS FOR THE BACK, DEPENDING ON THE CUSTOMER’S PREFERENCES. AN ADDITIONAL CHAIR AND ONESEATER COMPLETES THE SEATING FAMILY.